In Part 2 of Harry Potter and the Deathly Hallows [the epic finale], the battle between the good and evil escalates into all-out war. The Wizard stakes have never been higher and nobody is safe. Matey Potter is called upon to make the ultimate sacrifice as he faces off with posh t**t Lord Voldemort. Alright then lets av' a f**cking poster to help us imagineings© that. Helena Bonham Carter, Robbie Coltrane, Warwick Davis, Tom Felton, Ralph Fiennes, Michael Gambon, Jason Isaacs, Alan Rickman, David Thewlis, Julie Walters, Bonnie Wright and Kelly Macdonald co-star in the final film, opening in 3D, 2D and IMAX 3D theaters on July 15. 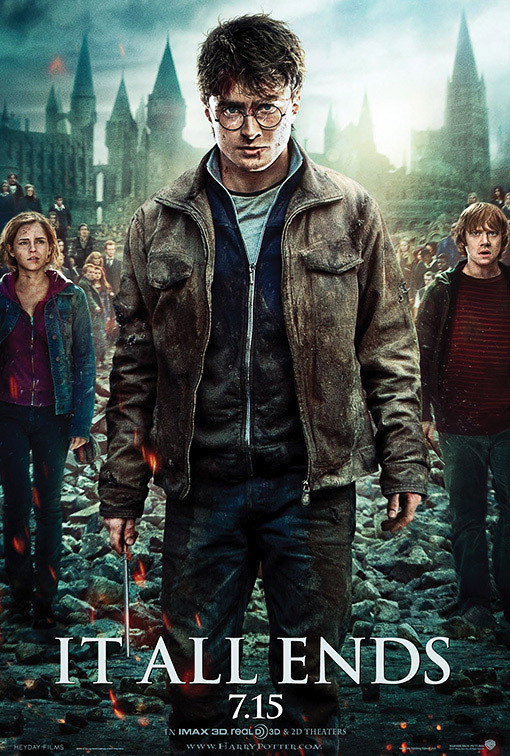 I'm reading: The Ultimate "HARRY POTTER & THE DEATHLY HALLOWS PART 2" PosterTweet this!